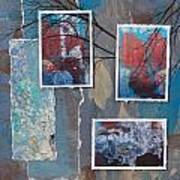 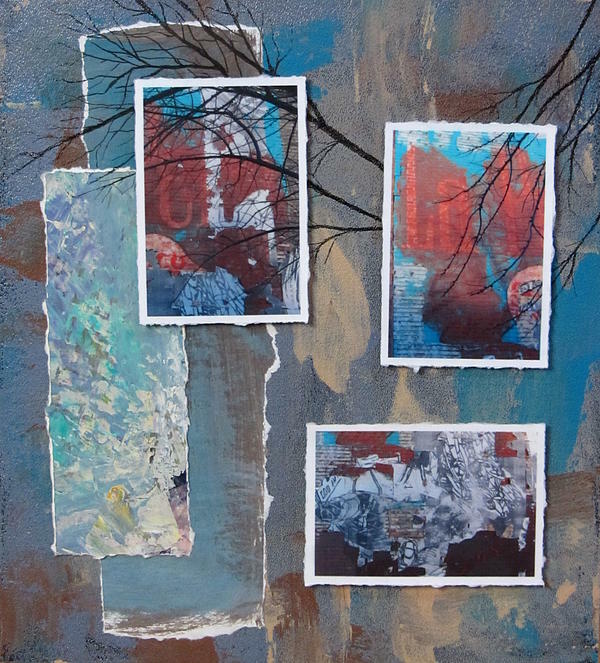 There are no comments for Abstract Branch Collage Trio. Click here to post the first comment. 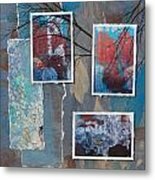 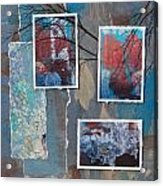 This is a 3D assemblage of photos, abstract painted board, painted paper, and ink drawing.